Adomolis PBR is a great analog face that takes advantage of the Pebble Time Round’s color display. The bold blue watchface incorporates most of the information you’d need at a glance into a sleek design. Users can view their battery percentage, the date and current step goal by default. It’s a really attractive watchface, and the high contrast between the dark blue background and the lighter minute and hour hands make it really easy to view at a glance. Just in time for Halloween, Creepy by Dalpek is another analog watchface that pops with a bold main color as the background. The red face is simple in design with a simple skull logo at the 12 o’clock mark. It’s a very sleek looking watchface, especially if red is your color of choice. Creepy gets its namesake from the giant spider that crawls across the screen every time you flick your wrist. It seems to pop up just about every time I go to check my watch. It’s subtle and executed very well. We definitely recommend checking it out to rock during the spooky month of October! The third watchface in this collection is another analog face from the same developer of Creepy. Cycle by Dalpek is another flawlessly executed watchface that really hones in on the modern design aesthetic. With only a few customization options, Cycle is easy to setup and looks great once you get your color scheme picked out. The big numbers and the round second indicator really make this watchface pop! I’m unaware of the original Circle 5 watchface, but in the description of Circle-5-MOD REMIX the developer says this is an attempt to recreate the original – and we think it looks awesome! Its design is a digital display with a sort of analog look and feel. The watchface includes all pertinent information I look for like time (obviously), date and a battery meter in the inner circle. Circle-5-MOD REMIX is a refreshing take on a unique digital watchface. Give it a try and let us know what you think! DSEG 2.0 is probably my favorite watchface right now. It doesn’t have any groundbreaking features, it isn’t a breakthrough in design – it’s just simple. If you’re a fan of the idea that ‘less is more’, you’ll love DSEG 2.0. It’s a really simple digital face with a battery meter on one side. Reminiscent of old digital calculator screens (or even old calculator watches), DSEG 2.0 just nails the design aesthetic. It doesn’t include a lot of features or tweak-able settings, but that’s part of its charm. A simple flick of the wrist will briefly display the current date before flipping back to the current time. It’s definitely worth checking out! We hope you dig this selection of watchfaces as much as we do. It’s great to see more new choices rolling into the app store every day. If you really like one we featured, be sure to go give the developers a little love in the Pebble App Store – I’m sure they appreciate it! Which one of the watchfaces featured was your favorite? 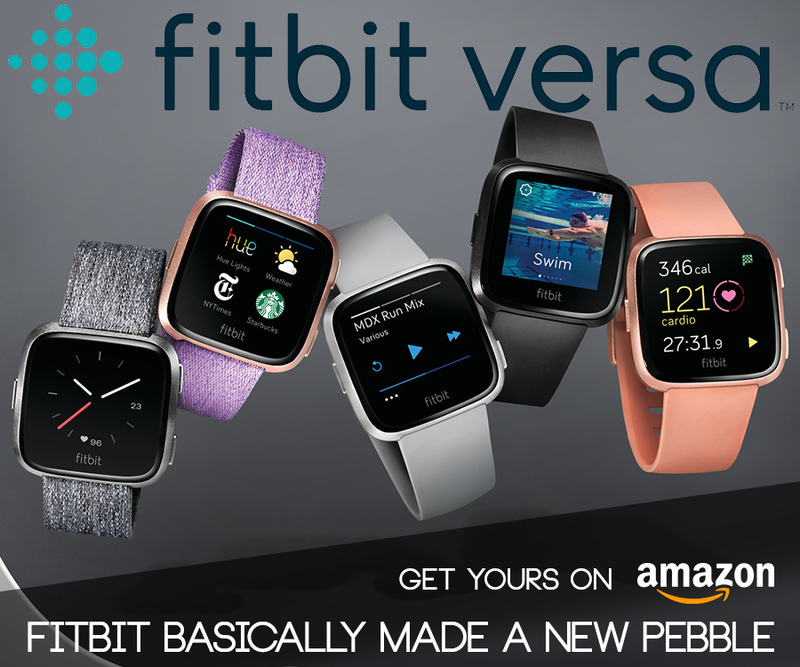 Do you like analog or digital watchfaces more for your Pebble Time? Let us know in the comment section down below! 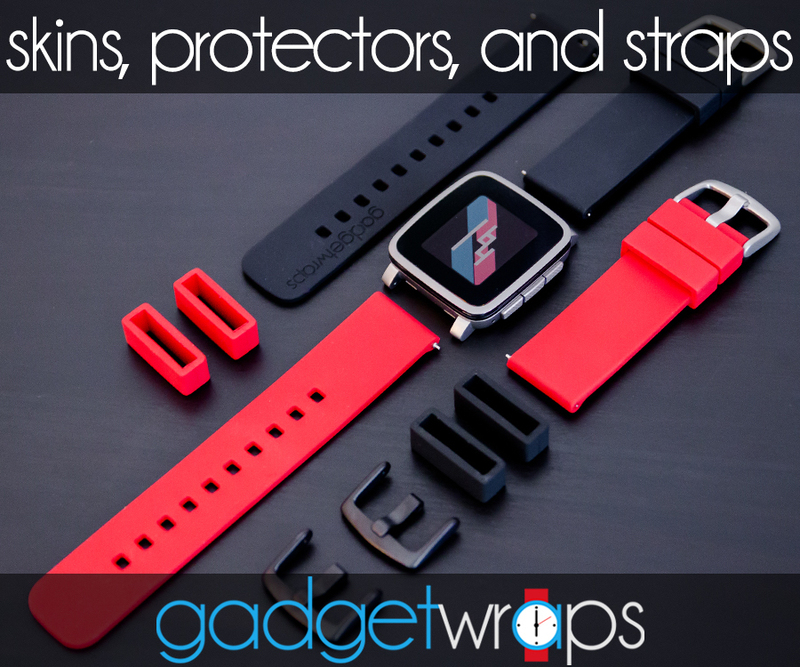 Straps and Skins as always from our friends at Gadgetwraps. Younique – The Most Personalizable Watchface for Pebble Time and Pebble Time Steel?